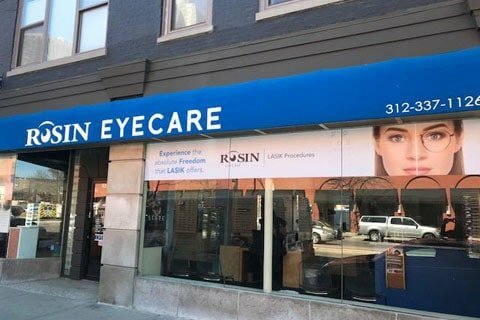 For eyeglasses, contacts, LASIK and a wide array of eye care services, come to Rosin Eyecare in Chicago’s Old Town neighborhood. Since 1930, Rosin Eyecare has provided Chicago and its suburbs with a combination of professional expertise and genuine friendliness. Dr. Nierman is skilled at not only detecting typical refractive errors (nearsightedness, farsightedness, and astigmatism) and prescribing the proper corrective eye wear, but is also highly skilled and trained at finding eye diseases in their early stages. Without regularly scheduled eye examinations, you may not realize that you are suffering from an eye disease until it affects your vision and may be more difficult to treat. Nierman Vision Center is an Old Town institution! We’ve been a part of the community since 1951, when Dr. Cyril Nierman opened his first practice on North Avenue and Larrabee Street. Since then, our practice has moved (just four blocks from our original location), grown, and evolved to better serve our patients. But while we’ve changed with the times, our family-owned and operated practice remains true to its original mission and the traditions on which we were founded: To provide an unparalleled level of vision care, customer service, product knowledge, selection, and competitive pricing, along with a strong commitment to our community. 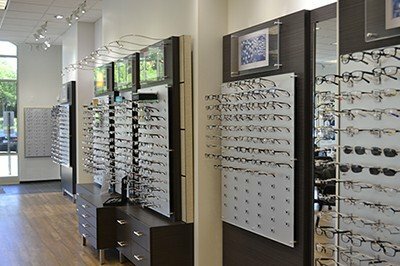 This is what differentiates Nierman Vision Center from optical chains and discount outlets. Dr. Nierman and his staff have partnered with Rosin Eyecare to offer the highest level of patient care and treatment. Call (312) 337-1126 to schedule an appointment today.